Exhibiting at the AAMT conference was a great experience to highlight the benefits of RITMSCENAR therapy to massage therapists from all over Australia. We were able to demonstrate different techniques and help ease the pain in their hands, neck and feet. We received a great response and were kept very busy over the 2 day event. 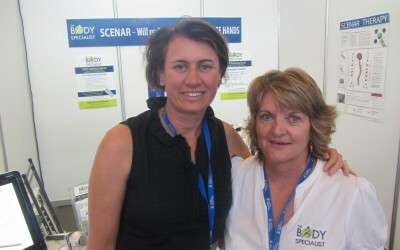 Thank you very much Sally Dymond for you time and expertise on our booth!